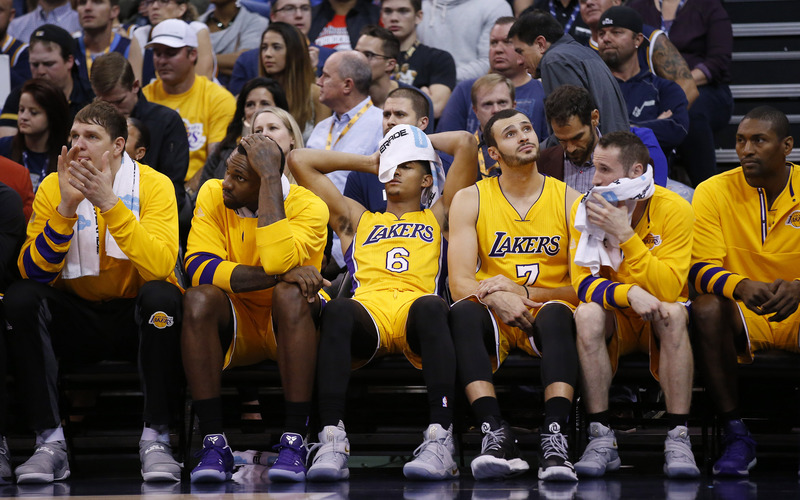 The Los Angeles Lakers are a team in current disarray. 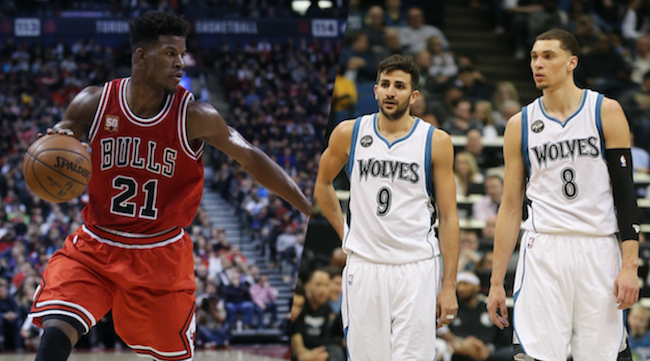 They’ve suffered five straight losses but looked promising in a win against the Pacers 108-96. After that win, the roller coaster continued in the following match-up against the Dallas Mavericks. The Lakers – Mavericks game ended in a rout by a score of 122-73. This 49-point margin is now the largest loss in Lakers history. The previous mark was 48-points by the Utah Jazz in March of last season. Now we all know the Lakers are in a rebuilding process but some events are unacceptable and are cause to reevaluate. Lakers guard Lou Williams cant hide his frustration on the bench as Metta World Peace anxiously watches. The Mavericks record is a mere 15-29 and only one game back are the Lakers at 16-32. Most pundits didn’t bother to watch due to the NFL Playoff games. LA wasn’t even close to impressive on offense and/or defense. If you wanted one key stat on why this game was so lopsided it was the 3-point discrepancy. They shot a putrid 3-for-21(14.3%) while the Mavericks shot 17-for-39(43.6%). Dallas led in EVERY statistic except for blocks. Seven Mavs reached double figures including second-year forward Justin Anderson with 19 points. Also, the Lakers only had two players finish with double digits in points. Jordan Clarkson had 10 points and standout Lou Williams had 15. While three other players had nine points (Luol Deng, Nick Young, and Julius Randle), there’s still trouble in paradise for LA. This game showed that the Lakers have a long way to go if they want to reach success. D’Angelo Russell has mostly been injured and inconsistent in the times he has played. 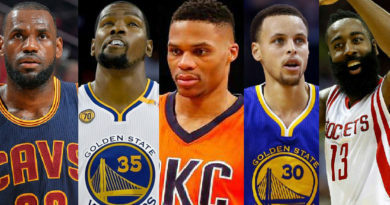 If they’re going to reach their promise, Russell has to grow up fast and become a true leader à la Stephen Curry. Jordan Clarkson has been the most consistent scorer of the “Big 4”. But he has been relegated to the bench which deters from the chemistry with their young players. Brandon Ingram is a raw talent but has true potential with his length and quickness. 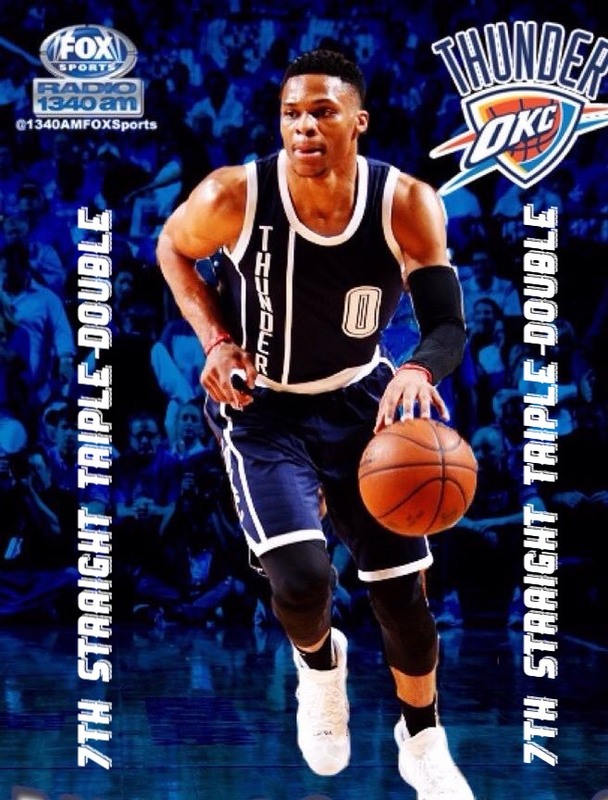 But the key for him is to stay in the weight room à la Kevin Durant in his rookie year. Julius Randle has been the best overall player of the “Big 4” for my money. Randle has shown multi-facets of his game and can also put up triple-doubles à la Draymond Green. Only time will tell if Luke Walton can add the right pieces and get this team prepared for the future. This season hasn’t been as promising as Lakers coaches, GM’s, players, or fans would have hoped. Bringing in an unproven coach like Luke Walton has some to do with it. With so many young players, the Lakers need a strong coach with a real direction for the team. Lakers owner Jim Buss fell in-love with the idea that Walton could turn their young “Big 4” into the Warriors “Big 4” in the near future. With hopes that D’Angelo Russell, Jordan Clarkson, Brandon Ingram, and Julius Randle would turn into future All-Stars. But the jury is still out whether those 4 players could turn into Stephen Curry, Klay Thompson, Kevin Durant, and Draymond Green. They have the talent but what sets the Warriors stars apart is their drive to the best. Ideally, if the Lakers want to reach the promise land, they must continue to tank this season. If the Lakers land the top three pick in the NBA Draft Lottery, they will keep their 1st-round pick. But in this case, they will have to send their 2018 1st-round pick to the Philadelphia 76ers due to the Steve Nash trade. This upcoming 2017 NBA Draft is highly-touted as the best of this decade and the Lakers need this pick. With this in mind, The Lakers should be looking to trade veterans who have high interest from playoff teams. Players like Lou Williams, Nick Young, and Luol Deng are some that come to mind. With a win like this, the stars in Dallas will look to make a playoff push. The Mavericks have been getting back on track winning four out of their last six. In what will most likely be the last season for Dirk Nowitzki, the Mavericks will not tank this season. Dirk is known as the best foreign player and best shooting big man to ever play. Owner Mark Cuban will want to send him off better than the Lakers could Kobe. After returning from injury he has played well for the 38-year old player. Even in this game, he scored 13 points, five rebounds and finished with the second highest plus/minus in the game at +31. Other veterans will have to step up if the Mavericks look to make a legit playoff push. Wesley Matthews, Deron Williams, and Harrison Barnes must play to their potential to compete in a tough Western Conference.